Who was Charles Stanley Gifford? Was it he who fathered the world’s most famous screen icon, Marilyn Monroe, as Gladys said it was, and Marilyn believed it to be? Or was it her mother Gladys’ estranged husband, Edward Mortensen, as per her birth certificate? Over the years much has been made of the fact that Marilyn did not know who her father was, however, that would appear to be a half truth. Marilyn seemed in fact, to be quite sure about who her father was and tried to contact him on a number of occasions. Charles Stanley Gifford was born in Rhode Island on 18th September 1898. Before his 21st birthday, on 26th July 1919, Gifford married Lillian Priester. The couple had two children, a boy and a girl. Unfortunately, they separated in 1923 and by May 1925 they were getting divorced amid reports of abuse, threats and intimidation, including causing his wife “bodily and physical injury”. Following the divorce Gifford left for Los Angeles and began working in Consolidated Film Industries, where he met Gladys Baker. Despite Gladys being married (although estranged), the pair dated at the beginning of 1925, with Gladys falling pregnant by that Autumn. Gladys was very much in love with Gifford and wanted to settle down with him and their baby but Gifford didn’t feel the same way. Neither family was particularly happy about an illegitimate child but Gladys was still hopeful that they could raise the baby together as a family. On 1st June 1926 Gladys gave birth to a baby girl she named Norma Jeane. Gifford was not at the hospital which deeply upset Gladys. There are reports that upon hearing that Gladys had Norma Jeane living with a foster family, Gifford offered to raise the child on his own, as he was better placed financially to support Norma Jeane, but this seems unlikley given his disinterest in the pregnancy and the fact he left his other children. If it is true, Gladys most definitely refused and so Norma Jeane stayed with the Bolenders. 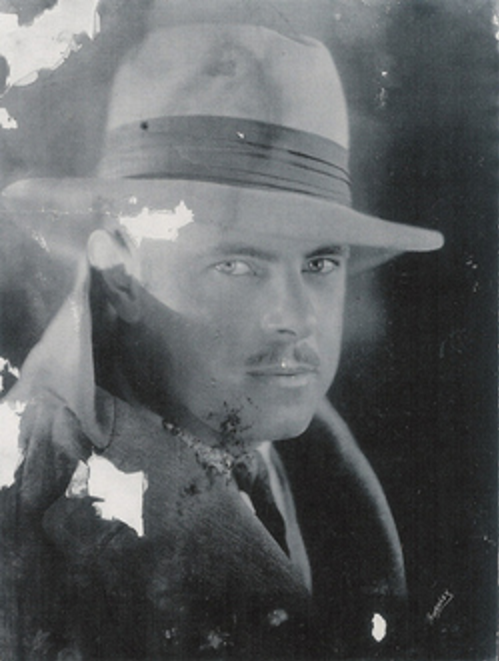 Gladys had a photo of Gifford up in the home she shared with Norma Jeane and told the child that this was her father. Gifford had no contact with Norma Jeane when she was a child, so it was in her late teens/early twenties that the then Marilyn, went looking for him. By that time Gifford owned a dairy farm in Hemet, California – about 2 hours from Los Angeles. Gifford had been married a second time to a lady named Mary-Belle. The couple had no children. Marilyn tried to contact Gifford over the years, a number of times, but each time the person she spoke to hung up the phone or told her Gifford did not want anything to do with her. This devastated Marilyn who had dreamt of and longed for her father for years as a child. It was reported that, when Gifford was ill and Marilyn was in hospital in 1961, that he tried to contact her. It’s been said that, having been rejected on so many occasions by Gifford, Marilyn refused to acknowledge him telling him it was too late. Charles Stanley Gifford died on 27th June 1965 near Hemet, California.